With the summer heat bearing down on us, a refreshing drink can be a blessing. It’s important to find the perfect drink to pair with our picnics, backyard barbecues, and beachside adventures. Discovering something that’s delicious, sweet, and refreshing will make you welcome at any summertime hang out. 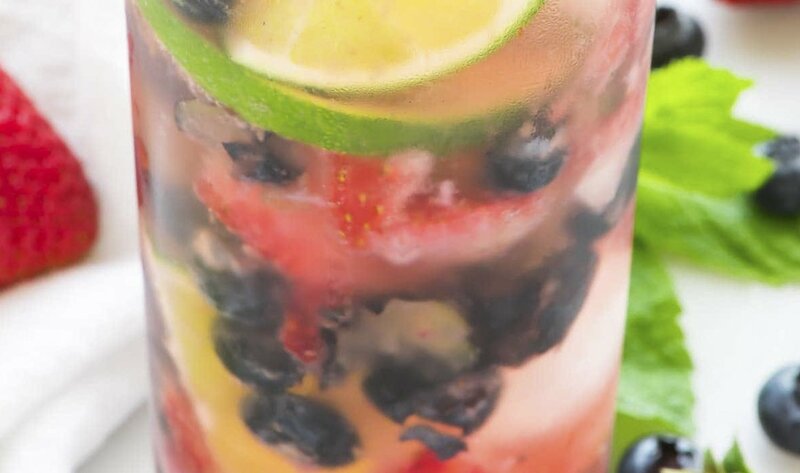 This week we’ver found the Blueberry Strawberry Mojito. This fun and fruity drink will be a hit with your friends. The natural sweetness from the fruit means you add less sugar than you would for a typical mojito (which maybe makes it health food?). This drink is all about happy confidence, which is exactly the spirit of American summer fun. *You may want to add more at the end as a garnish though. **That is equivalent to roughly half a lime. Add the rum and stir to mix. Top it off with club soda and stir again. Garnish with your preferred amount of berries and mint leaves. 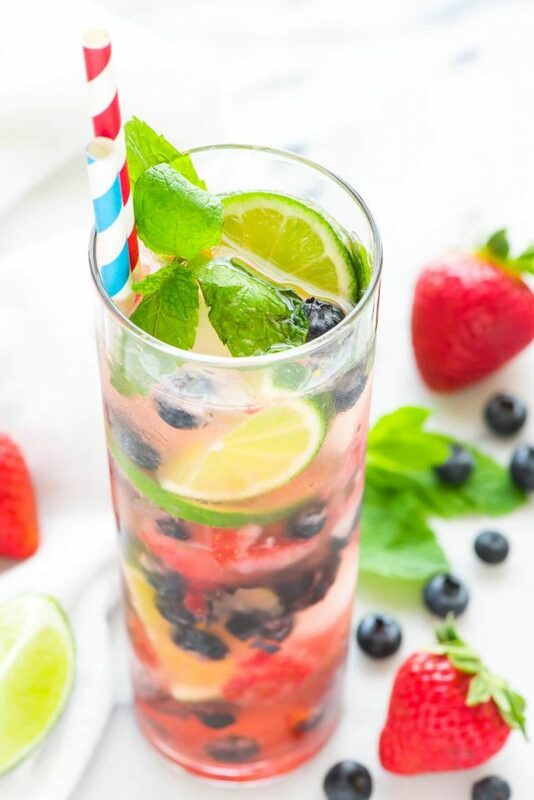 What do you think of The Strawberry Blueberry Mojito? Let us know on social media or in the comments!